Today’s tea is a David’s classic that I had actually never tried, Chocolate Rocket. It’s fitting that I had a mate as I was up at 5 am this morning, on my day off! Chocolate Rocket smells wonderful, very chocolatey. 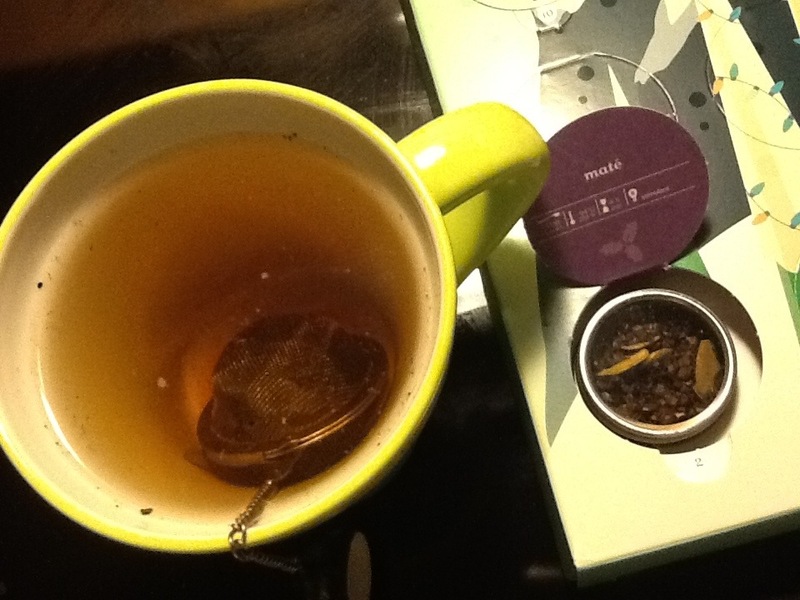 I found it a bit weaker than I normally like my teas, but it was still pretty good. Being a mate, it’s supposed to give you energy, but I didn’t find it as effective as David’s Fruite Mate. I give Chocolate Rocket a 3.5 out of 5. This entry was posted on December 2, 2012 by Jenn. It was filed under Davids Teas Advent Calendar 2012, Idiotic Crap and was tagged with AllJenn, Davids Tea, Tea.